Borobudur, a Buddhist stupa in the Mahayana tradition, is the largest Buddhist monument in the world. 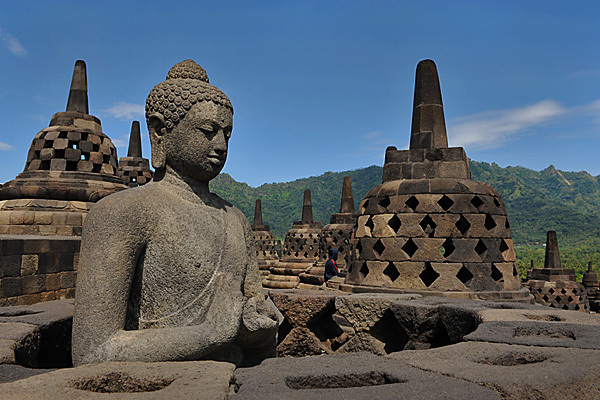 Located on the Indonesian island of Java, 40 km (25mi) northwest of Yogyakarta, Borobudur was built around 750 AD. The magnificent temple is a three-dimensional mandala (diagram of the universe) and a visual representation of Buddhist teachings.